You know life is good when you’re faced with two terrific choices and either one will be an excellent option, providing the best of what you’re looking for. In comparing the 2016 Mazda CX-3 vs. the 2016 Mazda CX-5, drivers have two winning choices before them—and which one is the right model simply depends on what the individual consumer is specifically looking for. One consideration that can be a big factor in choosing a vehicle is price. Pricing between the Mazda CX-3 and Mazda CX-5 models is comparable, with the Mazda CX-5 models coming in at a slightly higher cost. In creating the Mazda CX-3 and Mazda CX-5, Mazda’s aim was to engineer a gas-powered engine that could give competing hybrid and diesel engines a run for their money. The result is the 2.0L SKYACTIV®?-G four-cylinder engine, which is offered standard on the Mazda CX-3 and provides best-in-class fuel economy of 35 mpg on the highway and produces 146 hp and 146 lb-ft of torque. The Mazda CX-5 Sport front-wheel drive manual transmission model is also powered by the 2.0L SKYACTIV®?-G engine, additionally offering variable valve timing (VVT) and producing 155 hp and 150 lb-ft of torque. 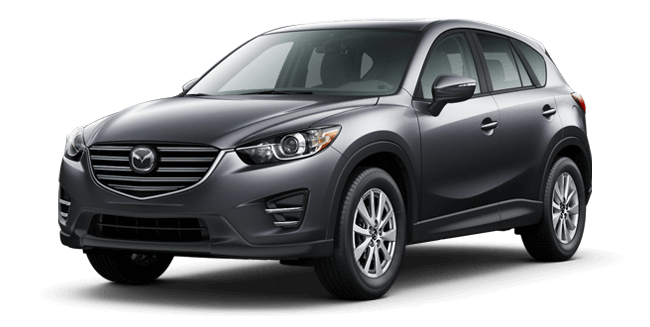 The Mazda CX-5 Sport automatic transmission, Touring, and Grand Touring models feature a 2.5L SKYACTIV®?-G DOHC four-cylinder engine with VVT, which generates 184 hp and 185 lb-ft of torque. Fuel economy in the Mazda CX-5 models is 26 city mpg and 35 highway mpg in the Sport front-wheel drive manual transmission model, 26 city mpg and 33 highway mpg in the Sport AT, Touring, and Grand Touring front-wheel drive models, and 24 city mpg and 30 highway mpg in the Sport AT, Touring, and Grand Touring AWD models. 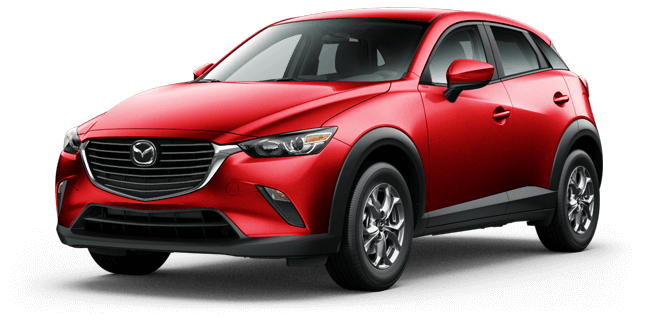 In terms of amenities, both the Mazda CX-3 and the Mazda CX-5 offer a robust array of comfort, convenience, technology, and safety features. Drivers can test out both the 2016 Mazda CX-3 and the 2016 Mazda CX-5, and perform the ultimate comparison: behind the wheel and on the road. Contact or visit Biggers Mazda today to take a test drive.